This kit is especially designed for new hand to learn and apply 3 colors T-shirt printing. 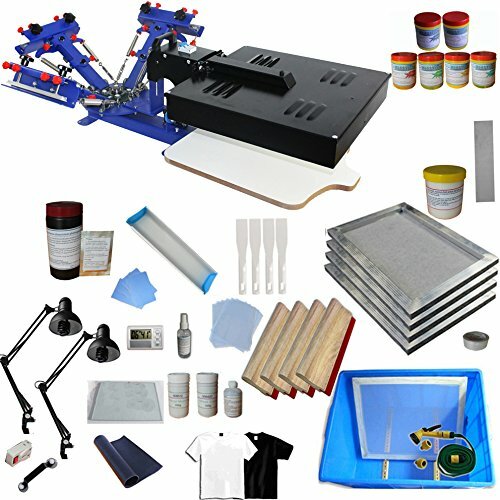 It includes all the equipments and materials for making screen printing plate & doing 3 colors T-shirt screen printing with high quality at a reasonable price, easily set-up, register and print; besides, we can also provide the full set of technical support. The most important is: with this kit, you can also start a fun and profitable business for printing shirts! So why still hesitate? Act now!! !